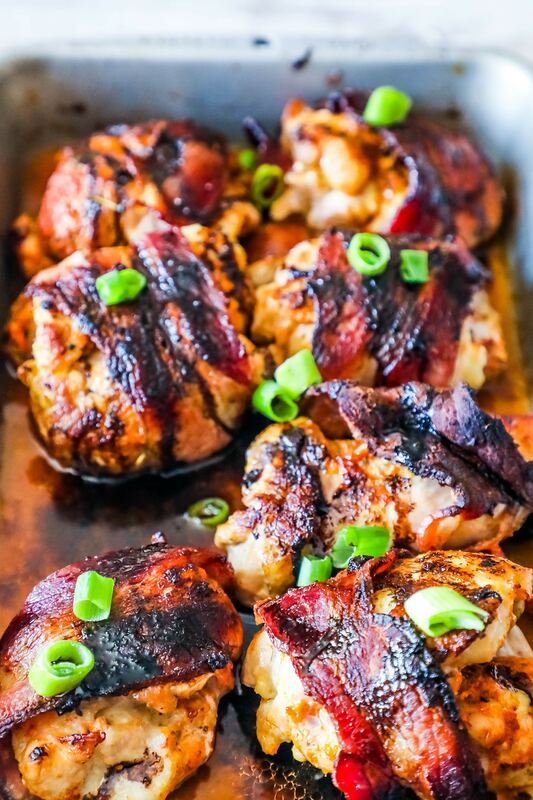 Bacon Balsamic Glazed Chicken thighs are an easy, delicious meal that is packed with smoky, sweet flavor! My husband and I are always trying out new diets and ways to eat better. 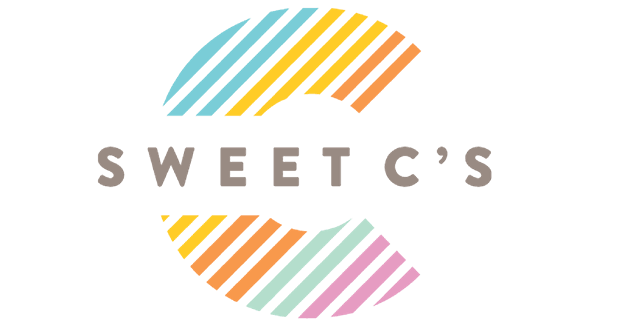 We’ve done paleo, weight watchers, and loads of other diets and had a lot of mixed success. It’s never easy for us to lose weight (wine, booze, carbs, and cheese are faaaar to important in our lives) – but we’ve been trying the Slow Carb Diet (Tim Ferriss’ 4 Hour Body has been a good guide for us) and really liking it so far. It’s a sort of paleo-ish diet – except for the limiting of carbs (no fruit) and the addition of slow carbs – so beans are ok. This type of diet has been a bit easier to adapt to, since meat and veggies are favorites of ours. Getting creative, delicious meals however has been a bit of a challenge- there is only so much to make with meat and veggies. Luckily, the other day while in a bit of a rut I discovered balsamic is okay – and decided to make some smoky, and slightly sweet chicken thighs to celebrate! Let’s face it – anything wrapped with bacon just doesn’t taste like diet food. 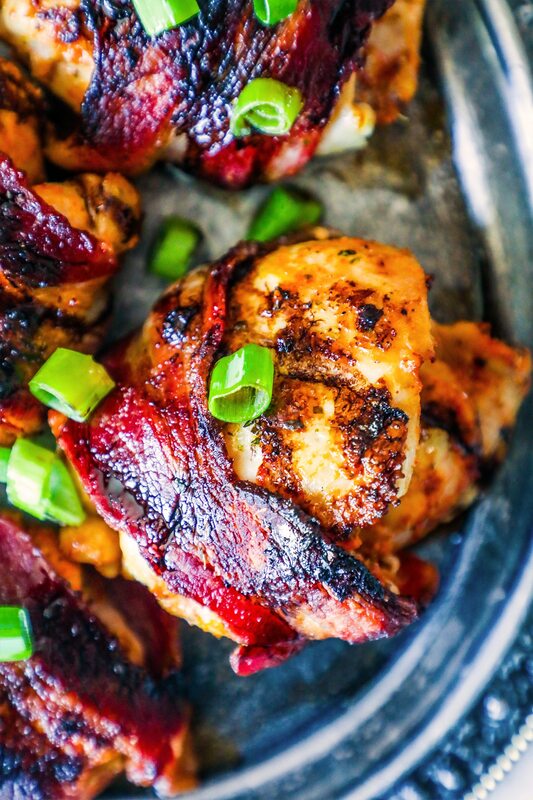 It’s much easier to stick to an eating plan if it feels indulgent – and you can’t get more indulgent than these delicious chicken thighs! 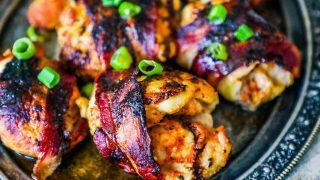 While I’m using boneless, skinless thighs in this recipe, you could use bone-in thighs (simply cut out the bone, or eat around it) since they are quite a bit less expensive. If you do go with the cheaper bone-in, skin-on things, I do recommend removing the skin, since it would get flabby and soft under the bacon. For another delicious chicken thigh meal (that works with a slow carb, paleo, and even whole 30 diet) be sure to check out my buttery crackle chicken recipe! In a small bowl, mix garlic powder, italian seasoning, and paprika. Lay chicken thighs on a cutting board and season liberally with herb mixture. 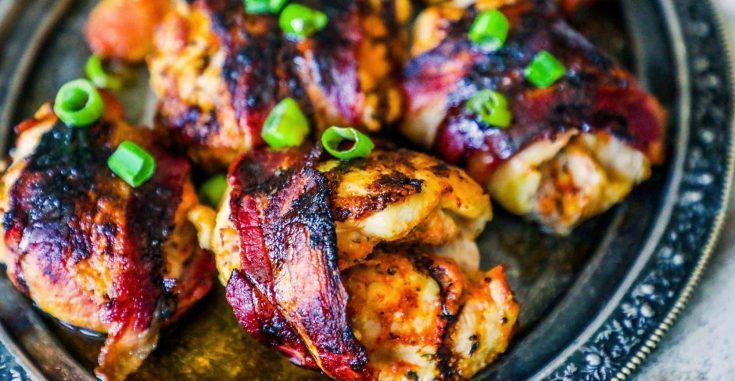 Wrap each piece of chicken with bacon. Heat a cast iron pan (or other heavy skillet) on high until hot. Add chicken thighs to pan, making sure not to overcrowd. Sear on each side about 5 minutes so bacon is browned. Bake until chicken reaches internal temp of 165 degrees, about 15 minutes. When chicken is cooked, remove and let rest at least 5 minutes. While chicken is resting, add balsamic to a small pan and heat on medium until reduced by more than half, and thickened, about 5 minutes. 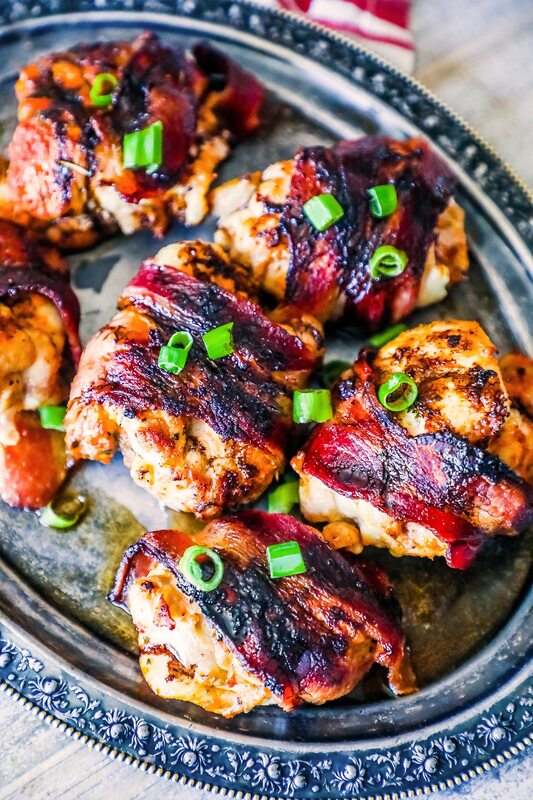 Drizzle balsamic glaze over chicken, top with green onions if desired!